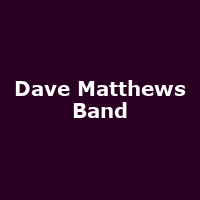 Dave Matthews and his merry band of musicians return to the UK/Ireland for a handful of dates in March 2010. The gigs form part of their extensive European tour and start in London at the O2 Arena on March 6th continuing through to Manchester Apollo on the 7th, Dublin O2 on the 9th, Glasgow SECC on the 11th and concluding in Birmingham at the O2 Academy on the 12th. Now pay attention: The tickets for all gigs go on sale at 9am on Friday 23rd October with prices starting at around £33.50. The band themselves have had a tricky 18 months having lost their saxophonist and founder member LeRoi Moore in an all-terrain vehicle accident on his farm. But Bela Fleck sax-man, Jeff Coffin, will be on hand to blow the horn on the tour. On the plus side, the new album "Big Whiskey & The GrooCrux King" has given them their first top 75 album hit in the UK reaching number 59 (as well as reaching number 1 in the States).